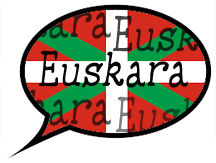 Today, December 3rd is Euskararen Nazioarteko Eguna, The International Day of Euskera, the Basque language. Every year, Basque clubs and entities all over the world organize events to mark this day promoting and celebrating the Basque language. The first Euskera Eguna was held on December 3, 1949 but later became official in 1995 when Eusko Ikaskuntza, the Society of Basque Studies in the Basque Country, and the Academy of the Basque Language, Euskaltzaindia made it an official celebration. December 3rd was chosen as the date to celebrate Euskera since it is the feast day Saint Francis Xavier who died in China on December 3, 1552. Legend has it that his last words were in Basque. Let us know how your club celebrated, or is planning to celebrate this important day in Basque culture. Just email us at: info@nabasque.eus, share your pictures and videos and we'll include them in next week's Astero. Aita Jean Pierre Cachenaut, who served as the Basque chaplain to the Basque community in the US from 1977-1986, celebrated his 50th anniversary of priesthood on Sunday, November 29, at his new parish in Azkaine (Ascain), part of the Parish of La Rhune that also includes Senpere (Saint Pee) and Sara (Sare). This was also his first mass at his new assignment. In his remarks, he reminds everyone that a priest doesn't belong to just one parish, but is meant to serve the church and so it is with much emotion and joy that he begins this new chapter in his priestly life. Aita is originally from Iholdi and was ordained on December 18, 1965 in Donapaleau (St. Palais), where he had also spent the last eleven years. On behalf of NABO and the entire US Basque community, we would like to extend our warmest congratulations to Aita Cachenaut and wish him all the best in future. Zorionak eta gure desire hoberenekin Aita! Hola segizazu anitz urtez! The New England Basque Club will be screening Song of the Basques at an event that will not only include the film, but also cider-tasting and pintxos. Mark your calendars for December 10, 2015 at 7:30pm at Assembly Row 12, 395 Artisan Way, in Somerville MA. Afterwards there will be a Q&A with the film's director, Emily Lobsenz. Tickets are available here and you can watch a trailer of the film here. For more information visit them on Facebook.